Professionally designed and installed storefront graphics from Signs Express will help your business or organization maximize the advertising potential of your place of business or organization. Storefront graphics are also perfect for giving your clients valuable information such as hours of operations, phone, website, and forms of payment accepted. Signs Express designs and installs window graphics from simple die-cut lettering to elaborate full color total coverage digital graphics. 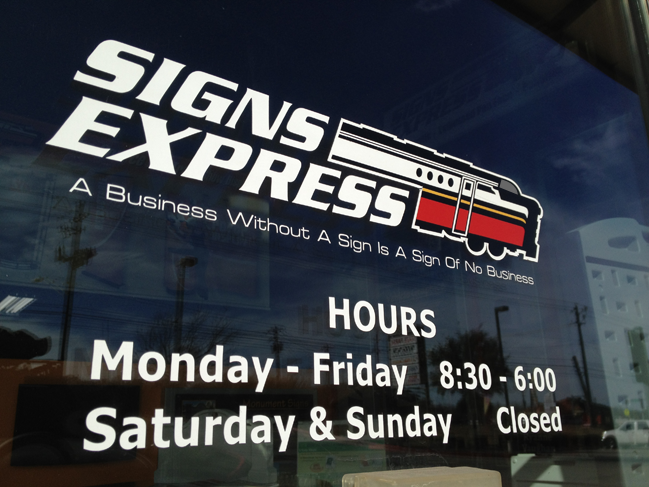 Our staff at Signs Express are experts at helping you decide what type of material is best for your storefront graphic project. 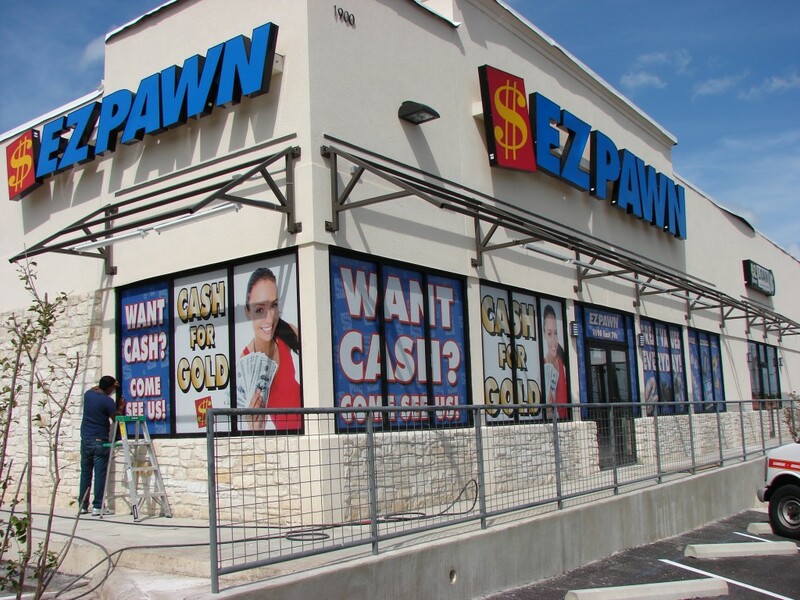 The main two options for storefront graphics are perforated window vinyl or opaque window film. Perforated window vinyl is perfect for applications where the client needs to see out of the window from inside their place of business, but anyone looking from the outside only sees the eye-catching, vibrant graphics. Perforated window vinyl is also good for reducing the amount of sun that is shining through the window especially at sunrise or sunset. 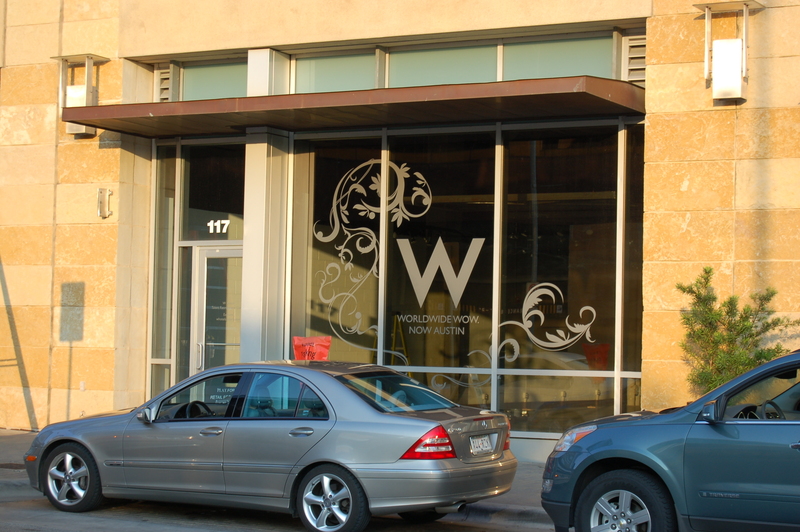 Opaque window film is more commonly used for die-cut lettering such as door lettering and hours of operation. For a upscale look try etch window film. Etch window film simulates the look of etch glass, but at a fraction of the cost.